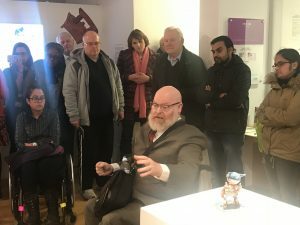 Home / Posts tagged "Hull City of Culture"
Jason’s approach, inspired by his long history of working with communities, was to engage a wide range of different people in Hull in a series of workshops to enable them to tell their own stories through art. This in turn has influenced the creation of his own work for the exhibition. It was great also to meet Monique Lock and her family who had travelled up from London for the opening. Monique had attended one of Jason’s workshops and her work features in the exhibition. 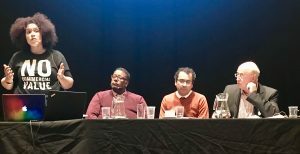 The 2017 Engage International Conference: what did we learn? Programming a conference is incredibly hard work, made easier by the support of a great team at Engage and Artlink Hull. Online polling is a great tool for harvesting questions and comments for plenaries.